Established in July 2003, Darul Naim Express Sdn Bhd operates along the East Coast of Peninsular Malaysia, such as trips from Kuala Lumpur to Kelantan and Terengganu. Today, Darul Naim Express owns over 12 units of express coaches and offer their valued customers enjoyable and comfortable trips. 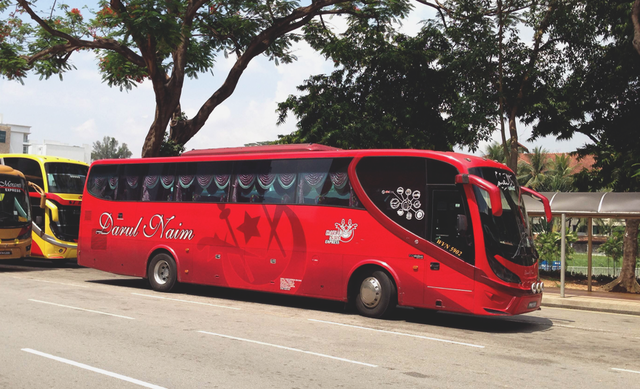 Darul Naim Express has always been capable of sustaining high quality and excellent services. They also hold firm to the policy of providing transportation using single-deck coaches, which are much safer on rugged East coast routes. CatchThatBus offers online bus tickets to many routes covered by Darul Naim Express as well as seat availability features. You can book your bus ticket online from our website or via mobile app which can be downloaded for free on Google Play or App Store.